"On Thursday, Gucci revealed two of the pages in the windows of its Fifth Avenue flagship, printed on the lining of a one-of-kind leather bomber jacket designed by creative director Frida Giannini. 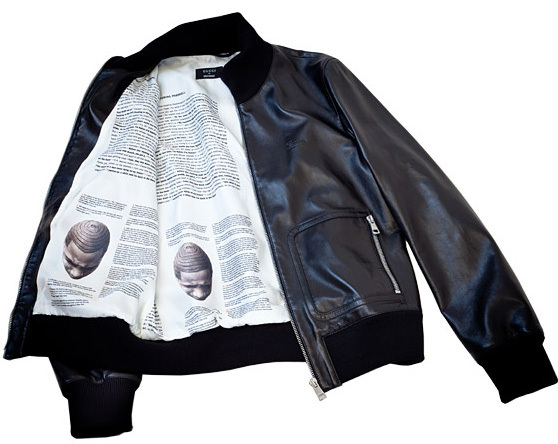 The display will remain on view until Nov. 16, when the book goes on sale — and then the jacket will be gifted to Jay-Z." Well Damn Jay. I see you! yeah I saw that one too, it's craazy!